The Bi-Autogo’s designer was only 24 when he conceived this sleek and powerful vehicle intended for early car connoisseurs. BACK in 1908, James Scripps Booth, well-known artist-engineer of Detroit, felt that the standard auto was somewhat prosaic. 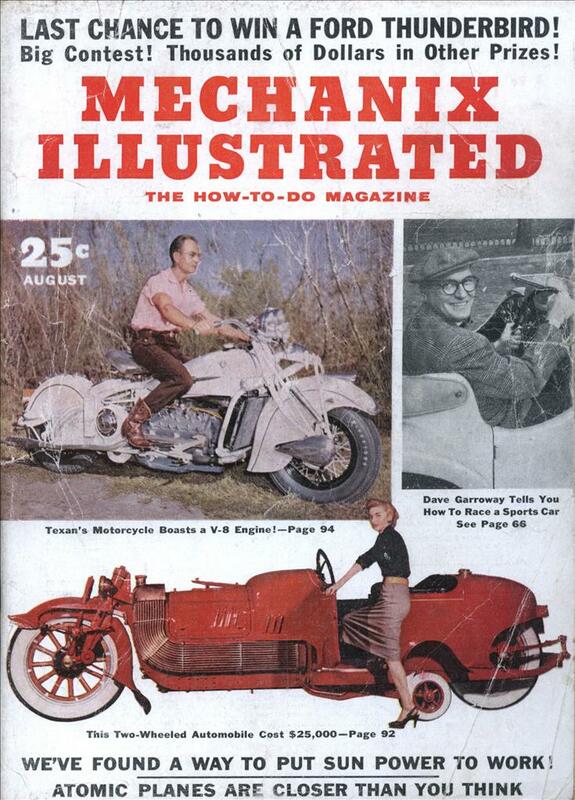 He believed something should be done toward instilling novelty and new sporting enthusiasm into motoring for hobbyists attracted by more costly cars. 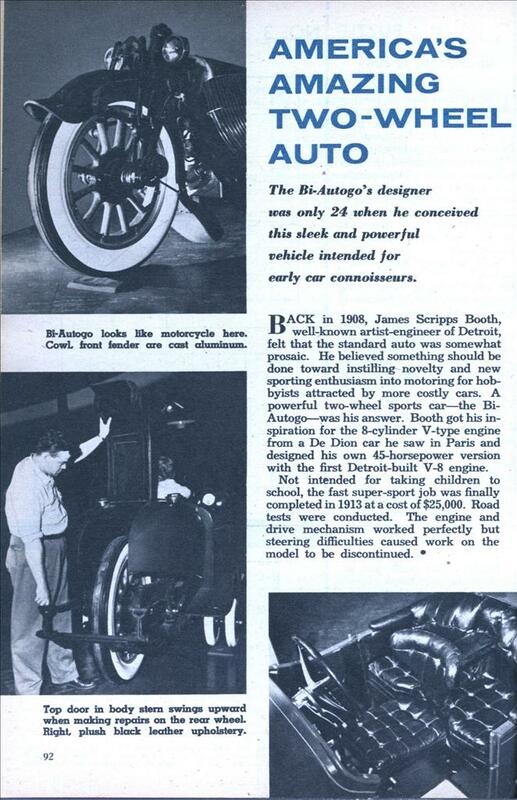 A powerful two-wheel sports carâ€”the Bi-Autogoâ€”was his answer. Booth got his inspiration for the 8-cylinder V-type engine from a De Dion car he saw in Paris and designed his own 45-horsepower version with the first Detroit-built V-8 engine. Not intended for taking children to school, the fast super-sport job was finally completed in 1913 at a cost of $25,000. Road tests were conducted. The engine and drive mechanism worked perfectly but steering difficulties caused work on the model to be discontinued.